One of the driving forces behind Acura is a comprehensive owner program called Acura Total Luxury Care available with your New Car from Findlay Acura. The program, also known as Acura TLC, includes complimentary roadside assistance, service loaner cars, a special new-car delivery package, special release offers, and many other value-added services for Acura owners. Every purchaser of a new Acura automobile – from the new 2017 Acura ILX to the Acura RLX – is automatically enrolled in TLC. Service Loan Car Program – A loaner car program featuring Acura automobiles for both warranty and retail service customers, is available at Findlay Acura. With an advance reservation, Findlay Acura will provide a free loaner car for customers while their Acura is being serviced. Acura Total Luxury Care Delivery Package – A special complimentary owner’s package is presented to new owners at time of delivery. In addition to their Owner’s Manual and Warranty Book, the package features a Quick Reference Guide, and TLC program information. Owner Communication and Loyalty Program – Designed to enhance the Acura ownership experience, this program provides Acura owners with special offers, an owner magazine, and unique owner activities. Acura Preferred Luxury Re-Lease – This joint marketing program from American Honda Finance Corporation and the Acura Division designed to retain customers who are approaching the end of their existing leases. This plan includes special offers to make it extremely easy and attractive for current customers to release a new Acura. Acura Preferred Pre-Owned Program – This program offers Findlay Acura pre-owned vehicles of unparalleled quality, and accompanying benefits such as Acura’s TLC program, an Acura-backed limited warranty, and special new-car financing and lease rates. Acura Care – Acura Care is a new-vehicle extended service contract available from American Honda Finance Corporation which covers the repair or replacement of virtually all mechanical and electrical components for up to seven years or 100,000 miles. Ther program also includes extended towing, roadside assistance and rental car coverage. 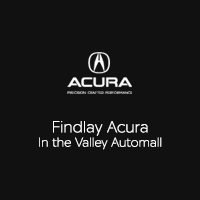 The full line of Acura luxury performance automobiles is available at Findlay Acura in Henderson Nevada. Roadside Assistance is available 24 hours a day, 7 days a week at: (800) 594-8500.